In 18 years as the co-head coach and sole head coach at UCLA, Enquist compiled a record of 887–175–1, including 11 NCAA National Championships. Her career winning percentage of .835 is the highest recorded by any of the college softball coaches with 800 career wins. She has been inducted into 5 Hall of Fames, and is one of the premier sport motivational speakers in our country. Watch Sue break down her method for reaching your personal best here. 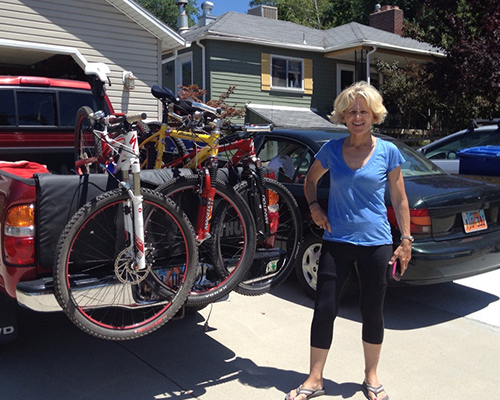 Sue is excited about how the bicycle can bring former players and coaches together during events and reunions, creating a even playing field for all to enjoy being active.Pictured at 4 years old and 57 years old, Sue believes in the competitive spirit of an athlete throughout ones life.